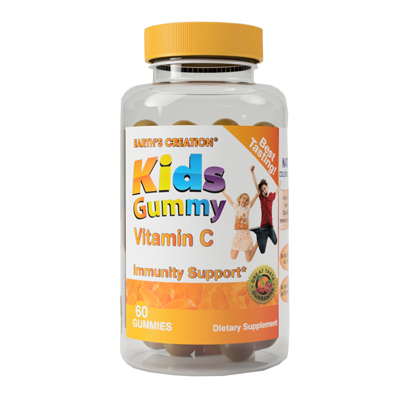 Gummy Vitamin C slices are the perfect solution to both children and adults who need extra immune protection. Tangy tangerine gummies provide optimal protection with a boost of antioxidant rich vitamin C.
Vitamin C is essential for all kids. Kids are always getting sick because they do not have very strong immune systems yet. Vitamin C though helps support a healthy immune system. Vitamin C has many benefits; one of the most important for kids though is that it helps in the absorption of iron. This helps kids to stay energized, and decrease in the risk of anemia. It also helps in preventing the common cold, and if you do have a cold it supports in shortening the days of the cold. There have also been studies that state that Vitamin C helps prevent cancer. Vitamin C is an essential vitamin for children in keeping their bodies over all healthy. That is why these gummies are not only a delicious treat for your kids, but also an essential supplement in keeping their bodies healthy.